HEI’s works to advance the right to health of disadvantaged communities. Its grass roots work focuses on refugees and asylum seekers. To build community capacity and extend its mental health support, HEI trains volunteer Community Health Workers (CHW) in the area of mental health. HEI also develops tools and manuals to support both its own work as well as the work of other groups and organizations. 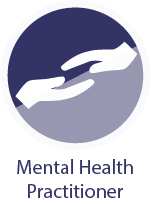 HEI’s mental health professionals offer mental health services at HEI’s Community Center and through home visits. 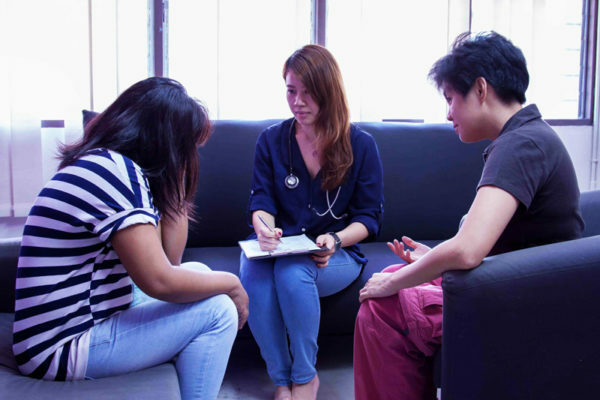 In response to the lack of information on refugee health in Malaysia, HEI has initiated a number of research/monitoring projects to better understand refugees’ health needs and concerns, particularly in the areas of mental health, basic needs and access to health care services. These activities also ensure that related advocacy is evidence-based. To help create a context in which refugees’ right to health is understood and realized, HEI also builds health professionals’ knowledge to monitor and advocate for the right to health of disadvantaged populations. 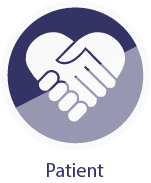 HEI currently does this through its internship program with students of medicine and psychology. The Community Health Workers (CHWs) Training on Mental Health was HEI’s first program when the organization was established. It was developed in consultation with refugee community organizations and UNHCR to meet the gap in mental health interventions in the community. HEI continues to consult with refugee community organizations every year in identifying community members who participate in the training. The Community Health Workers (CHWs) Training on Mental Health seeks to strengthen the already existing resilience and capacities of refugee communities. Participants undergo a nine-month training program which focuses on building knowledge, skills and attitudes required to participate in multi-disciplinary teams in order to provide clinical and community based mental health care and undertake psycho-social interventions. Provide psychosocial support services for community members who require mental health assessments, treatment and rehabilitation services. The training modules are constantly refined and have been updated since 2007 to address the emerging needs of the community, ongoing learning of the organization, feedback from the volunteer CHWs, mental health screening results, and insights gleaned from running the services. 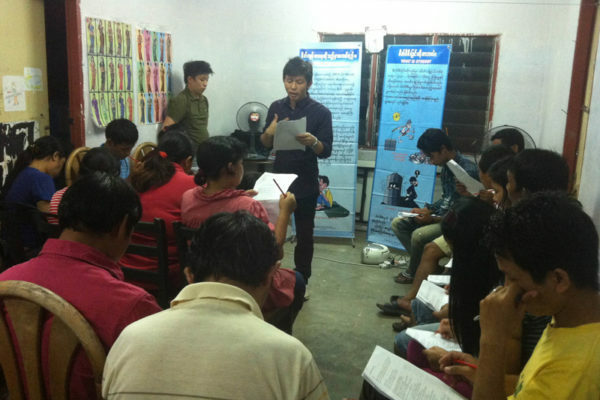 Since 2016, HEI has obtained support from international organizations such as International Organization for Migration (IOM) and UNHCR to provide protected time to their translators who have been selected to attend the training. 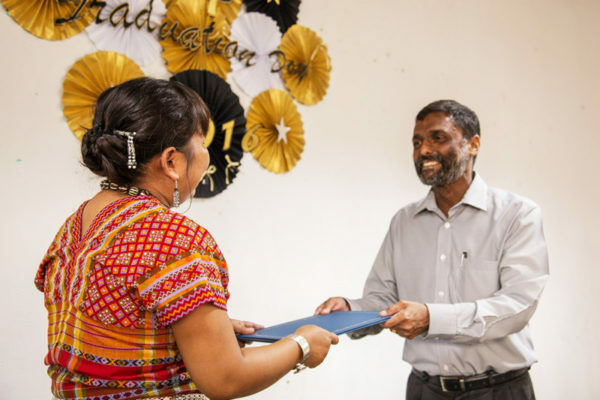 Although the organization initially developed the training for refugees and asylum seekers from Myanmar, in recent years the training program has included community members from Sri Lanka, Afghanistan and Somalia. 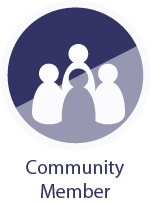 The Community Outreach program is at the heart of HEI’s work and is meant to strengthen the relationship and connectedness with the community, provide avenues for early identification and early intervention of mental health problems, and equip community members with information and tools to increase mental well-being and manage stress. The communities to be reached out to are identified collaboratively by the volunteer CHWs and the community leaders. ‘Hard to reach’ refugee populations that have limited access to existing social support structures are prioritized. The outreach activities are also opportunities for communities to share with HEI current issues affecting them. Community outreaches are also organized in response to specific events that may impact the community, such as disasters in the country of origin which may increase anxiety about the welfare of their loved ones. Health Equity Initiatives’ (HEI) Mental Health Services team comprises of volunteer Community Health Workers (CHW), Counselors, Psycho-Social Support Officers, Clinical Psychologists and Psychiatrists. The team is led by Dr. Xavier Pereira, HEI’s Co-Founder, Director and Mental Health Services Director, who is a Psychiatrist and Psychotherapist. HEI takes a mental health and psychosocial (MHPSS) approach to its interventions. Thus, HEI’s interventions aim to respond to the different communities’ capacities, vulnerabilities, and increase opportunities for community strengthening. The MHPSS approach calls for a shift from an excessive ‘pathology-focused’, trauma-based model of service delivery towards one that recognizes the resilience and agency in the refugee and asylum seeker population. This approach also recognizes the complementary and integrated services of stakeholders and service providers. In addressing the mental health needs of patients, HEI’s Mental Health Services program works closely with UNHCR and other partner organizations in making external referrals. Patients are referred to the Mental Health Services team through HEI’s community based mental health screening undertaken by volunteer CHWs during outreach visits, and referrals from the community, volunteer CHWs, NGOs, and UNHCR. HEI provides additional support in the form of a transportation subsidy to certain sub-populations like women, the chronically mentally ill, and those with severe mental illnesses to enable them to complete their treatment. Health Equity Initiatives (HEI) has initiated a number of research projects to monitor the right to health of the communities the organization works with. 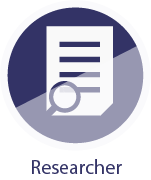 These activities are done to ensure that the organization’s advocacy is evidence-based. The National Consultation on the Health Dimensions of Human Trafficking and Forced Labor: The Malaysian Experience and Response was held on the 26 July 2011 with The Malaysian Trades Union Congress (MTUC) and the Malaysian Bar Council as co-organizers. 55 participants from various sectors, including government, civil society, employees’ unions, academics, refugee community organizations and professional bodies attended this one-day consultation. A follow up consultation with 19 participants and organizing partners from the National Consultation was held on 25 August 2011 to concretize the action plans for 2012. Health Equity Initiatives (HEI) provides technical support and training on mental health, refugees, and trafficked persons. HEI partnered with the International Organization for Migration (IOM) in 2011 to conduct rapid appraisals to assess the psychosocial needs of victims of trafficking and care providers at three government-run shelters. The first of the three assessment reports was endorsed by the Malaysian government. Based on the gaps identified in the rapid appraisal, HEI was invited to conduct workshops on Responding to the Psychosocial Needs of Victims of Trafficking for care providers in these three government-run shelters. In 2012, HEI developed the Basic Psychosocial Support Guidelines for Government Shelter Staff for survivors of trafficking based on the capacity building needs identified in the rapid appraisals and the care providers from these three workshops. An outcome of this engagement was a two-year partnership with the Ministry of Women, Family and Community Development to implement a pilot project on the Provision of Psycho-Social Support for Care Providers at one Government-Run Shelter. From this engagement, HEI published a self-study manual titled “Human Trafficking and Mental Health: A Primer” that is available in English and Bahasa Malaysia. The IAWG-MHPSS seeks to provide peer support, and collectively build capacity for its members. In contributing to strengthening the capacities of the network, HEI’s Mental Health Services conducted a suicide risk prevention workshop for the working group in November 2016. Dr. Xavier Pereira, HEI’s Founder, Director and Mental Health Services Director, who is a Psychiatrist and Psychotherapist is also an Associate Professor at Taylor’s University, Malaysia. He received his certification in Interpersonal Psychotherapy (IPT) in 2006 and subsequently gained certification as a supervisor and trainer in IPT. He has given plenaries and lectures, and conducted seminars and workshops on IPT. IPT is a time-limited psychotherapy designed at resolving interpersonal issues, and decreasing psychological distress. Dr. Xavier has conducted two IPT workshops to date, one in 2012, with Professor Dr. Scott Stuart, and one in 2016. He also provides supervision for those who have completed their Level A certification and would like to further their certification in Level B. As an organization of health professionals, in 2009, Health Equity Initiatives started an internship program for students of medicine and psychology with a view to support the formation of medical and health professionals with the capacity to think and act within a human rights framework. for disadvantaged populations in order to stimulate critical thinking, analysis and social action with regard to health. This is done through field visits, research, discussions and theoretical overviews. HEI hosts elective students, interns, and medical students on short visits. Additionally, Dr. Xavier Pereira, HEI’s Founder, Director and Mental Health Services Director, who is also Associate Professor at the Taylor’s University School of Medicine (TUSM), also runs a community based teaching clinic for MBBS students from TUSM during their posting in psychiatry. The program requires a minimum of five weeks of participation. 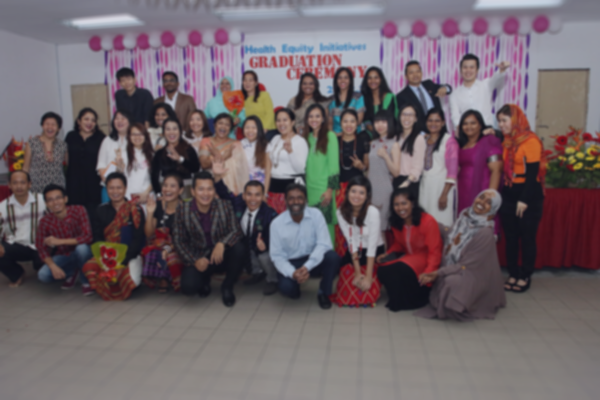 To date, students from Iran, Pakistan, Malaysia, Somalia, Sudan and Myanmar have completed the Health and Human Rights Internship and Electives for Students of Medicine and Psychology program. In all, 375 Students have participated in the Internship and Electives programs.